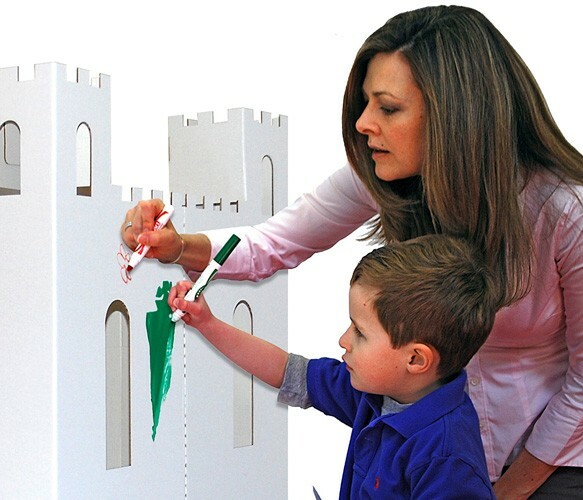 What kid doesn’t dream of being a king or a queen, a price or a princess, or a gallant knight? 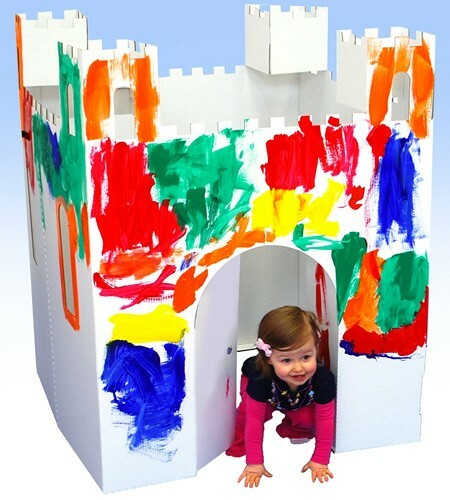 Give them a playhouse they can decorate themselves with this fun cardboard castle! 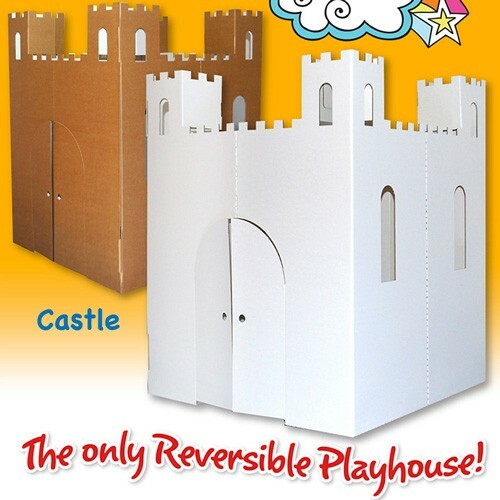 This easy to assemble castle is reversible so you can decorate it on both sides, and it's wave cut to prevent edges that could cause papercuts as kids play. 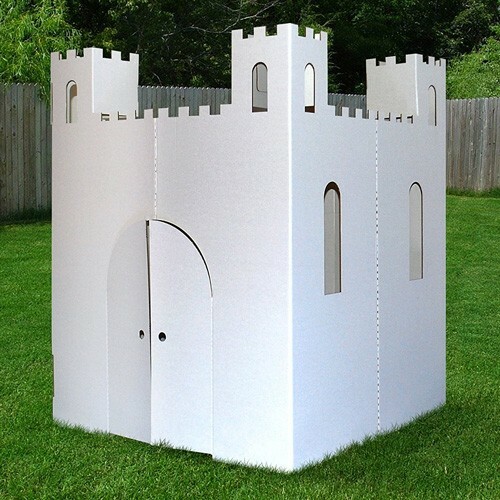 Two doors, four turrets, four large windows, and eight small windows provide plenty of lookout points! 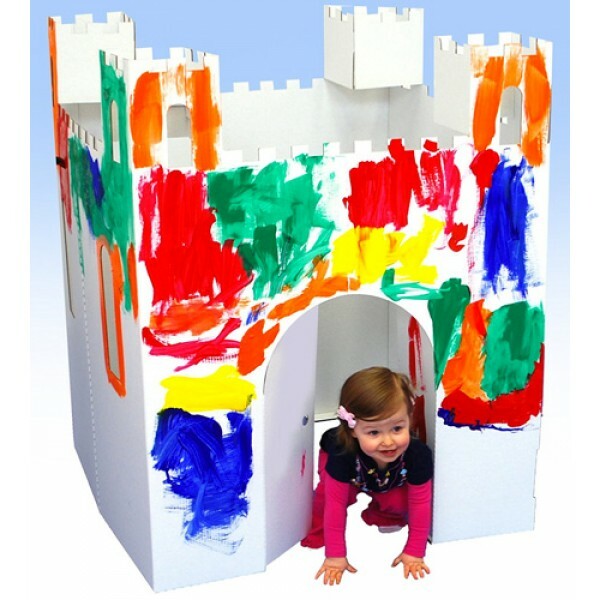 This 32″ x 32″ x 43.5″ castle is sure to spark plenty of imaginative play -- and plenty of artistic creativity!